Available July 1. This is the first authorized biography of Olympic legend Mark Spitz, who won seven gold medals in the 1972 Games. The book follows Spitz’s rollercoaster career, from his years as an age group prodigy in California to four years as an NCAA standout at Indiana University to his Olympic career and the lucrative endorsements that followed. Old and new fans of Spitz will appreciate the depth and detail in this incredible story, written by Richard Foster, the president of United States Aquatic Sports. The book contains recollections from Spitz, his coaches and competitors, including three-time Olympian Gary Hall, coach Sherm Chavoor and rival Doug Russell. 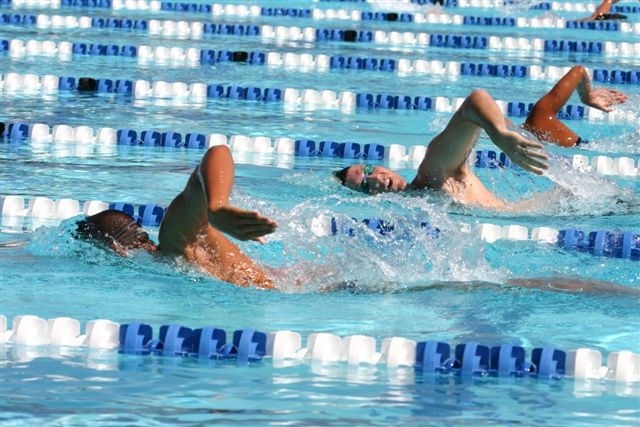 With only a short time to Sectionals and JO’s…Take a good look at this photo and ask yourself, “Is this what my stroke looks like?” …It’s time to really get into proper technique, don’t just plow through the water. Keep your strokes LONG, STRONG and FINISH….Remember tapering for the meet does not mean to taking it easy. Tapering means to work on all of the little things that add up to a great race…Be focused, be intense, be smart!